The most controversial thing about C&C 4 happens to be one of its best features, and that's its online play. You see, the game's DRM - that's digital rights management or anti-piracy measures - force players to always be connected to the internet to play. Because of this EA has built a game where the multiplayer lobbies exist on every menu screen, making it incredibly easy to jump into the variety of multiplayer matches, including co-op. Whether or not you agree with this type of DRM, something that comes into questions years down the road when EA decides to shut off its servers, you have to admire the added functionality it brings in terms of play. The majority of C&C 4 can be played in in co-op so this addition makes it incredibly easy to find a partner, and there's even dedicated channels for co-op meetup. The game lends itself really well to co-op play because of the aforementioned MCV types. Depending on the objective you and your partner can cover certain aspects of the strategic spectrum. One mission involved my partner and I protecting a group of transports down a highway. He chose defense and proceeded to line the roadway with turrets and other structures to aid us, while I chose offense and loaded up on speed based attack units. This approach definitely proved to be the winning combination, but constant communication and support was needed to complete the mission. There's even buttons built into the UI which allows you to ping and notify your partner of events or the need of aid, and the in game voice over lets you know if your partner is under attack. Any progress made in the co-op mode does transfer back to your campaign, so if you're stuck on a mission in single player you can just jump back to the menu and switch it up for co-op. I would have liked to see some sort of auto matchmaking on this though, where people simply look for other people based on mission, it could have streamlined the process a bit more. Instead you'll have to create a party, invite someone to it, and then choose a co-op mission. It's a minor annoyance, but like I said, it was rare to not be able to get into a co-op game. If C&C4 has a downside it seems a bit light for the epic conclusion of a 15 year franchise. I would have liked to see a few more tips of the hat to C&C veterans, instead what we're given is a complete change up of their formula. It's not necessarily a bad thing, after all C&C 3 wasn't exactly well received. 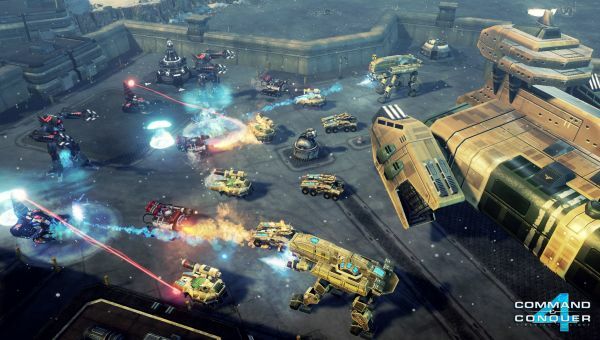 We saw Red Alert try its hand at co-op play in an RTS, and while it was fun, it didn't always work. 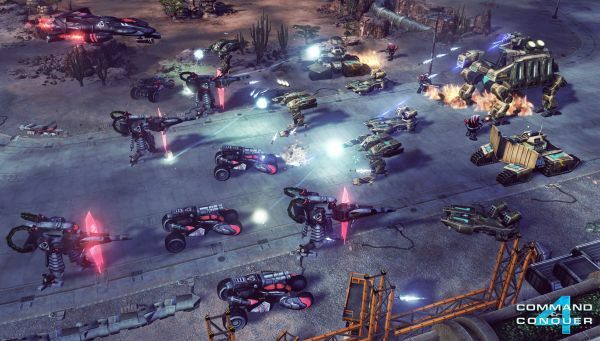 Command and Conquer 4 fixes these issues, adds an interesting progression system, and is more pick up and play friendly. While the changes might piss off C&C veterans, as someone who's gotten a bit bitter in their old age about RTS games with resource gathering and management, I enjoy the more action focused title with light RPG elements. The Co-Op Experience: Players each assume the role of a commander through the game's campaign. Each player can choose a class role of support, attack or defense for greater tactical advantages. Page created in 0.2489 seconds.